Image by Inbal Marilli/Unsplash, Public Domain Dedication (CC0). Taking refuge is not at all the same as declaring yourself a Buddhist, or rejecting anything else. It doesn’t involve adhering to a dogma or adopting a set of beliefs. Taking refuge begins with recognizing the fact that many of us feel cast off and alone. When I was a college student, I was interested in meditation because I felt so fragmented and alone. I felt like the lonely steward of my own suffering. I wanted to take a step in a different direction. 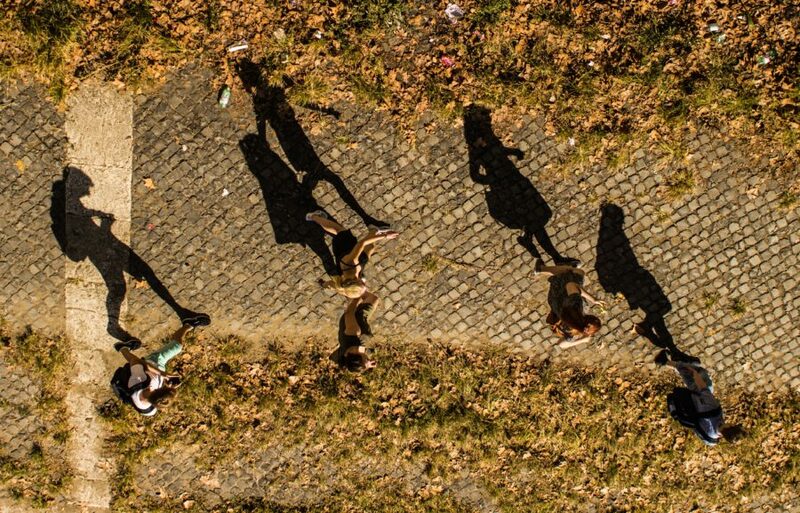 Even though the activity was meditation, which we tend to think of as a solitary an activity, it turned out to be a gateway to a larger and ever-expanding sense of community. I didn’t know it at the time, but while I was learning to show myself more generosity and compassion, I was also learning to show the same to others. We want a sense of refuge somewhere, a sense of home, and more than anything, a north star by which to navigate the sometimes perilous and often confusing journey we call life. Taking refuge in the Buddha is acknowledging he that was a human being, and that each of us has a capacity to break through conditioning, to know boundless love, to have wisdom, and to be free. Taking refuge in the Buddha is taking refuge in our own potential. Image by Michelle Gow/Flickr, Some Rights Reserved. The word dharma means “the way” or “the path,” the truth of things, the laws of nature. We take refuge in the truth of things as they are. No need to hide from, obfuscate, or deny the reality of experience; how everything changes, how our actions are consequential, how suffering is a part of life, how interconnected we all are. The funny thing to me about the three refuges is that the first two are referred to much more commonly than the third. Many people relatively familiar with Buddhism are aware of the Buddha, the historical person Siddhartha Gautama. The Buddha is looked to as an inspiration because he asked, and answered, myriad questions about what it means to be human. The dharma — with its several, connected meanings, all generally related to the idea of the truth, the way things are — is also fairly well known. Less well known is the third refuge, the sangha. The word sangha means “community.” We take refuge in the community of countless men and women, those who from beginningless time have sought a deeper truth, who didn’t just accept conventional understanding but themselves became exemplars of another way of being. As I listened to Goenka’s teaching about the sangha, I felt myself alive in history, present among all the men and women, regardless of religion, ethnicity and class, seeking happiness and freedom from destructive habits, painful situations, persecution, and more. We take refuge in whatever current community we have who walks a path with us. This may mean those who share the same values we have, even if not the same practice as we do. It may mean those we feel OK being vulnerable with, so that we can accept a helping hand reaching out to us. It may mean those we feel called to reach out to when they seem vulnerable. Ultimately, it means the whole of life, no one left out, because our lives are so inextricably intertwined. Image by Alex Naanou/Flickr, Some Rights Reserved. The practice of taking refuge felt immediately powerful. Even though the ritual is traditional, it felt so open, free, and fun. I felt connected with others all the way back to the time of the Buddha — all of us on a quest for freedom, for actualization of a capacity that was said to be within each of us, including me. And I felt deeply connected to those taking that retreat with me. We were a band of about 100 people, mostly Westerners, from many countries, all drawn to that place in time, the site of the Buddha’s enlightenment, to see what we could do about our own. Forty-five years later, several people from that group are still amongst my closest friends. Perhaps this is why, many years later, I was so drawn to teaching lovingkindness meditation. The practice of offering phrases of lovingkindness to ourselves, to a loved one, to a neutral person, to a difficult person, and then to all beings is an exercise in exploring this interdependence regularly. When I teach this method of meditating, I often hear from students that sending lovingkindness to “all beings” can be very difficult, as it’s the most abstract. But there’s something about the refuge of the sangha that helps us realize the richness of what it really means to be connected to “all beings.” It’s a powerful daily reflection, helping us to remember that we’re not so alone after all. 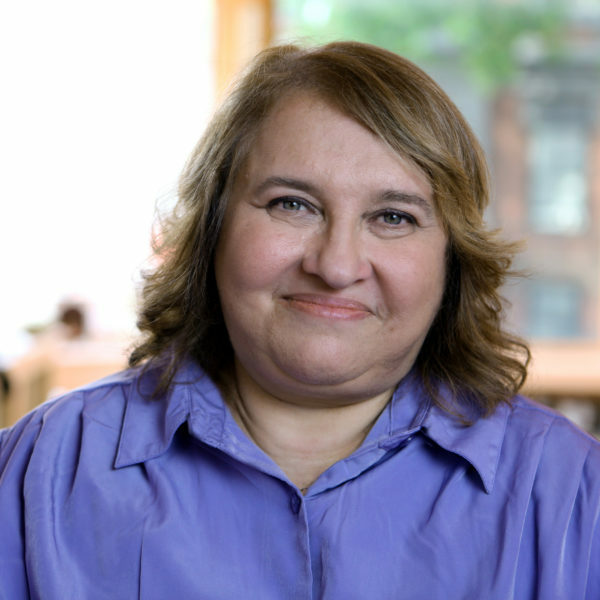 Sharon Salzberg is a meditation teacher and the co-founder of the Insight Meditation Society in Barre, Massachusetts. She is the author of many books, including Love Your Enemies: How to Break the Anger Habit & Be a Whole Lot Happier, Real Happiness: The Power of Meditation, and Real Happiness at Work: Meditations for Accomplishment, Achievement, and Peace. Her most recent work is Real Love: The Art of Mindful Connection.